It Isn't A Flash In The Pan But A Firm Surge. After years of stagnation and being plagued by accidents, India Navy's (IN) submarine arm seems set for an uptick. The most visible sign has emerged behind the tall gates guarding the premier submarine training establishment, the Visakhapatnam-based INS Satavahana. The navy is training what arguably is its biggest batch of submariners in recent years. The school, which conducts the all-important basic course - an entry level, year-long course which every submariner has to undergo has seen the batch size nearly double. If the 84th batch, conducted in 2013 saw the participation of 26 officers and 129 sailors, the current one, 88th, is witnessing 45 officers and 176 sailors. In the interim batches, the intake grew to 33 for officers and 143 sailors, at the most. There are two batches in a year, since every batch spends six months on campus followed by an equal amount of time on board an operational submarine. Sailors are required to put in this bit while for officers, it takes six more months to achieve the dolphin badge - ultimate insignia for a submariner. In the submarine arm (a voluntary one) this enhancement is being seen as a direct fallout of the perceived brighter prospects. Some also view this as a resurgence, an affirmation of sorts in the mitigating procedures put in place following the deadly accidents - explosion and sinking of INS Sindhurakshak in Mumbai in August 2013 killing 18 on board and fire on board INS Sindhuratna which took the lives of two officers on board in February 2014. "Forty-five officers!" exclaimed retired submariner Commodore AJ Singh, "is a big number indeed." In his understanding the navy has to train more given the number of bigger submarines lined up for induction. "There has never been a dearth but with this number the navy has created the institutional depth. There perhaps was a perception issue but it is history now," Singh said. Unlike other branches of the navy where specialisation is the key, submariners hold specialisation at par with generalisation. 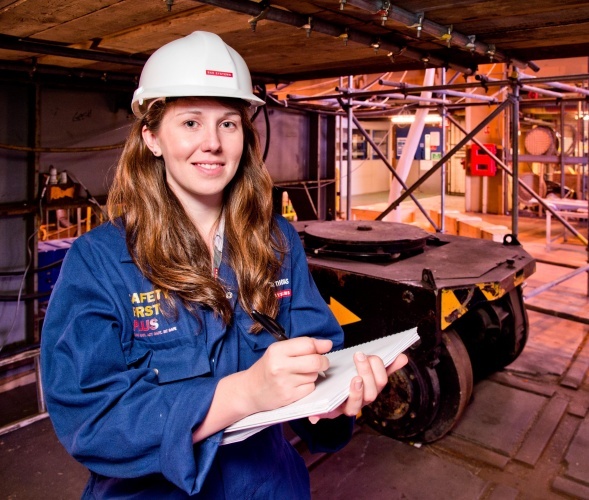 "The first test I had to pass was the one in which I was to all about a submarine's structure. The passing percentage is 85," said an officer. The navy's submarine arm, facing a massive crunch in the early 60s, is a well-rewarded one. Allowances are at par with the other apex level arms - aviation and special forces. "And why not? Risks aside, ours is the only military service where on duty no one wears a uniform, not even a rank and for a reason," quipped an officer. In fields a fleet on fourteen operational submarines which includes nine Russian-EKMs or Sindhughosh class, four German HDW Shishumar class and the nuclear-powered boat, INS Chakra, an Akula class submarine loaned from Russia. In the final leg of her sea trials is the Arihant, an indigenous nuclear-powered boat supposed to fire nuclear-tipped missiles. as planned, INS Kalvari, French-designed, conventional submarine which was to join the fleet in 2012 will do so in September 2016 with the remaining five coming at the interval of nine months each. On the anvil are at least two more boats of the Arihant-class, six conventional diesel electric submarines, six nuclear powered submarines and an additional Russian submarine on lease, the negotiations for which are continuing. According to German Ambassador Julius Georg Luy, one submarine was delivered to Egypt on December 10 while two others are awaiting delivery from Germany. The ship, the S41, is the first-of-class 209/1400 vessel and took to water earlier this month during a ceremony in Kiel attended by Vice Adm. Rainer Brinkmann, Deputy Chief of Staff of the German navy, the mayor of Kiel, and Egyptian officials. The submarines are being built in the northern coastal city of Kiel, which is famed for its ship-building and last week exported the fifth of six new ThyssenKrupp vessels bound for Israel. The first two of the four submarines are thought to have been ordered in 2011, though the deal only became public in August 2012 following statements by Egyptian Rear Admiral Osama Ahmed al-Jundi. A 10 December statement from ThyssenKrupp about the first vessel’s inauguration was the company’s first acknowledgement of the deal, though the press release gave no other details about the submarines or forthcoming delivery dates. The second order for two submarines was announced in February 2014. The diesel-electric Type 209 submarine is 211 feet long, has a submerged speed of 22.5 knots and a submerged range of 400 nautical miles at a speed of 4 knots. 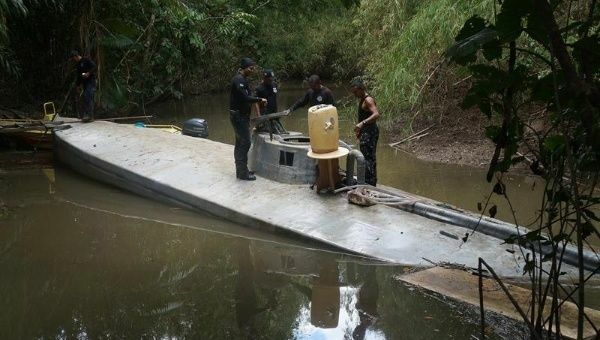 Last week Brazilian authorities released this photo of a captured submarine on the Amazon River that was packed with cocaine. Operated by a crew of as many as 30, the vessel reportedly would ship the drugs to Europe and/or North America. GUAM -- Cmdr. David L. Coe, a Newtown native and 1994 graduate of Council Rock High School, has assumed command of the Los Angeles-class fast-attack submarine USS Key West (SSN 722) during a change of command ceremony at Naval Base Guam’s theater, Dec. 11. In front of Key West crew, dignitaries, commanding officers, family and friends, Cmdr. David J. Coe relieved Cmdr. John A. Thompson as Key West’s commanding officer. Capt. Jeffrey M. Grimes, commander, Submarine Squadron 15, was the guest speaker at the ceremony where he congratulated Thompson and the crew of Key West on a job well done. Grimes said he couldn’t be more proud of the accomplishments and resilience of Key West under Thompson’s command. He presented the Meritorious Service Medal to Thompson for his accomplishments during his time as commanding officer. During Thompson's tenure as commanding officer, Key West conducted three missions vital to national security and participated in four exercises with foreign nations. "We’ve grown a lot. When I took command we were doing a lot of maintenance,” said Thompson. “Now we’re doing more operations. There was a lot of stress on the boat, but through it all the crew never stopped working together." Thompson’s next tour of duty will have him report to the Kingdom of Bahrain in the U.S. 5th Fleet area of responsibility. Coe, a native of Pennsylvania, graduated from the United States Naval Academy in 1998, and most recently served as Executive Assistant to Commander, Submarine Force U.S. Pacific Fleet. The U.S. navy and other states including China are already known to be carrying out extensive research into underwater drones. Britain's independent nuclear deterrent could be torpedoed by an increasingly sophisticated breed of underwater drone, a leading defence expert has warned. 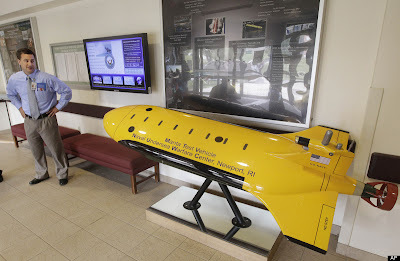 However, a revolution in underwater drones, as well as advances in sonar, satellite and other anti-submarine warfare systems, mean that even totally silent submarines are likely to become detectable. Some sensor technologies can detect large submerged objects by monitoring small movements of surface water. Experts warn that as the capabilities of detecting systems improve and their cost falls, large-scale remote and potentially autonomous sensor deployments become possible. The result is that the world's oceans will become increasingly transparent, seriously calling into question the UK's heavy reliance upon the Trident submarine programme for its nuclear deterrence. "There is a major transition taking place in the underwater battle space and it is far from clear how the new submarine will be able to evade detection from emerging sophisticated anti-submarine warfare capabilities," Mr Ingram said. The revolution seen in aerial drone capabilities in recent years was likely to be extended to underwater craft, he added. A U.S. study recently reported that up to 50 aerial drones, controlled by one operator, had "swarmed" in a simulated co-ordinated attack. New algorithms, or mathematical formulas, to command and control much greater drone numbers are already being developed. Similar advances in underwater drone operation would make it harder for submarines to escape detection, he said. "With satellite surveillance able to look further and further into the water, coupled with the possibility of 'swarming' underwater drones which are likely to become cheaper and cheaper to produce, it raises serious questions about the wisdom of putting all your nuclear weapons on board a submarine," he argued. "The only purpose for doing that, it is claimed, is to make them hard to detect, which could well be impossible to achieve by the time the new Trident programme is launched." The Basic think-tank is concerned by the lack of informed public debate about Trident. "The worrying thing is that nobody is debating this. It is an issue that nobody wants to talk about," Mr Ingram said. "Campaigners against Trident don't want to talk about it because it's not about the purity of their anti-nuclear arguments. Those in favour of maintaining a nuclear deterrence do not want to talk about it because if the seas become transparent then the sense of putting all of our nuclear weapons in relatively slow moving platforms such as submarines will pose fresh difficulties," he said. Military experts point out that the Royal Navy has long been involved in "cat and mouse" warfare – with Germany during two world wars and then with the Russians during the Cold War and beyond. They insist that underwater drones are but the latest tool in a race between submariners and their detectors. In January, Carol Naughton, of the non-proliferation group British Pugwash, will launch a research project into the appropriateness of Trident as a platform for the UK's nuclear weapons capability. "We are in danger of embarking on a major spend that will not only fail to deliver the invulnerability required of the proposed deterrent system, but is also likely to add a worrying degree of instability into the nuclear weapons situation," she said. 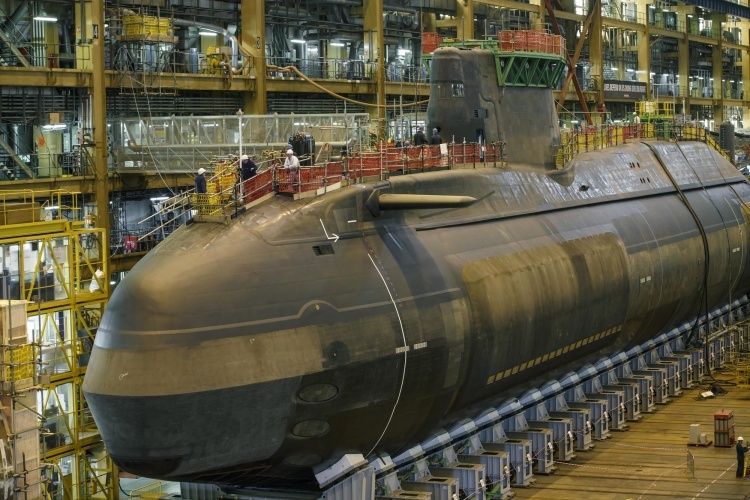 Last month the Prime Minister revealed that the strategic defence and security review (SDSR) had put the cost of the four subs at £31bn, up from £25bn nine years ago. The review said a contingency fund of £10bn would be set aside, suggesting the MoD anticipates the costs could rise still further. The first sub is not due to come into service until the early 2030s. Germany has exported the first of four state-of-the-art military submarines to Egypt, it was announced on Wednesday. One of the vessels was inaugurated in Germany on 10 December, Berlin's ambassador to Cairo, Julius Georg Luy, told the state-run Egyptian MENA news agency. The submarines are being built by the German construction juggernaut ThyssenKrupp. The company's share price jumped by over seven percent after completion of the deal was announced on Wednesday night. A 10 December statement from ThyssenKrupp about the first vessel's inauguration was the company's first acknowledgement of the deal, though the press release gave no other details about the submarines or forthcoming delivery dates. Announcements of the submarine deals caused friction between Germany and Egypt's neighbour Israel, whose navy contains vessels of the same model and whose territorial waters border those of Egypt in the Red Sea. All four Egyptian submarines are thought to be Type 209, 64-metre long vessels armed with torpedoes and capable of firing land- and ship-striking missiles from on deck. The value of the deal has not been made public, although the same model has previously been purchased by South Africa at a cost of $285mn per unit. Announcing the submarine deal, Luy celebrated a positive year for German-Egyptian relations, which has seen an 18.5 percent increase in German exports to the North African country. Egypt's Foreign Minister Sameh Shoukri will begin a three-day visit to Berlin on 11 January, meeting high-level officials to discuss bilateral relations and regional issues. Germany became the world's fourth-largest arms exporter in 2015, overtaken for the first time by China. Egypt imported almost $3bn worth of arms in 2014, with figures for 2015 not yet available. However, the past year has seen Cairo announce a number of high-value purchases, including a $5bn deal with France for fighter jets and deals with Russia. Indonesia has still not made a decision on what type of submarines it will purchase, the country's navy chief said last week. As I have noted previously, Indonesia currently only has two German-built Type 209 submarines, woefully inadequate for the world's largest archipelagic state. Defense officials say Indonesia needs at least 12 submarines by 2024 to police its waters. Indonesia ordered three South Korean submarines back in 2012, and officials had indicated earlier this year that two more new ones would be purchased 'most likely from Russia' even though specifics were still unclear. On December 16, according to The Jakarta Post, Ade Supandi, the chief of staff of the Indonesian navy (TNI-AL), clarified that while Jakarta had decided to buy diesel submarines, it is still currently reviewing three types of submarines from three countries: Russia, South Korea, and Germany. "The Navy and the military headquarters are still conducting a strategic review of the matter," Supandi said Tuesday. Indonesia has a record of purchasing submarines from all three countries. The relationship with Russia dates back the furthest, with 12 Whiskey-class submarines purchased from the Soviet Union during the Cold War. Those subs were gradually decommissioned 'the last in 1990. And as mentioned earlier, Indonesia currently operates two German-built Type 209 submarines' which are expected to be decommissioned by 2020; and has ordered three Chang Bogo-class submarines from South Korea. In addition to the three candidates, Indonesia also reportedly had government-to-government talks with France earlier this year regarding the Scorpene-class 1000 diesel-electric attack submarines. Supandi's comments suggest that key specifics are still yet to be publicly revealed on the submarine purchase. As I wrote back in September, while navy spokesman Comr. Zainuddin had said then that Indonesia may buy Russian submarines, he also had declined to mention key details like which specific submarine type would be purchased and how it would be financed. The financing point is critical because Indonesia has been struggling to boost its defense budget amid financial troubles in 2015. Supandi himself reiterated that point when he said that the decision regarding which submarines to purchase would be based on the current state of the budget situation. He also added that procurement would take time as it would have to go through three stages: drawing up submarine specifications; planning the budget; and then building the vessels. If reports that the total cost of Australia's new fleet of submarines will be $5 billion less than expected are accurate, the vessels should be fully built in Australia and the fleet increased to 12, the South Australian Government has said. News Limited is reporting companies from Germany, France and Japan proposed cheaper build options when they lodged their confidential bids for the project to the Federal Government last month. The report has fuelled the South Australian Government's hopes that 12 instead of the rumoured eight subs will be built in the state. Reports suggest the project would cost between $10 billion and $12 billion for a fleet of eight, much lower than the $20 billion estimated for a 12-sub fleet. SA Defence Industries Minister Martin Hamilton-Smith said if the projections were correct, there would be enough money to ensure a viable submarine industry in the state. "If that information is correct then it certainly is a good signal that we can build 12 submarines in Australia," he said. "This morning's news that the submarines will cost far less than expected comes as no surprise to the South Australian Government, that's what we have been saying all along." He said the benefits of a fully Australian build would be returned to the Government in the form of tax revenue and industry stimulation. "This puts to bed once and for all the idea that we should build less than 12 submarines, clearly it is affordable to build 12," Mr Hamilton-Smith said. "It must be 12, for not only our national defence, but to ensure we have a continuous build of submarines in our shipyards." The Federal Government has previously said it planned to release details for the project in its defence white paper early next year. South Australians have been were keenly interested in the project after the Coalition promised before the 2013 election that a fleet of 12 subs would be built in the state. The fleet is set to grow in 2016, commissioning 11 new hulls and decommissioning just three — all Los Angeles-class attack boats. The ship count will be bolstered by six new littoral combat ships, including the Detroit, Montgomery, Gabrielle Giffords, Little Rock and Omaha. The fleet will also welcome two technological marvels to the waterfront, the destroyer Zumwalt and the carrier Gerald R. Ford, which is set to be commissioned by early summer, officials say. The Virginia-class attack submarines Illinois and Washington will join the silent service, but the sub community will lose the attack submarines Albuquerque, Corpus Christi and Houston. The latest amphibious transport dock, the John P. Murtha, is also slated to be commissioned in 2016, as is the latest Arleigh Burke-class destroyer, the John Finn, named for a chief aviation ordnanceman who earned the Medal of Honor for machine gunning Japanese planes during the surprise attack on Pearl Harbor. The Expeditionary Fast Transports — formerly designated as joint high speed vessels — Brunswick and Carson City will both join the family at Military Sealift Command, but the fast combat support ship Rainier is being decommissioned. The first four enlisted women completed the intensive basic enlisted submarine course in October and, starting next year, will report for duty to the blue and gold crew of the guided missile submarine Michigan. The first cadre of 38 enlisted women selected for the program were announced this summer; the second round of selectees will be announced in January. The Michigan is the first sub to integrate enlisted women and the guided missile sub Florida will follow later that year. In October, the Atlantic Fleet's top enlisted submariner said they were still working on the instruction that will govern the integration, revising it down from 49 pages to something more concise — especially when it comes to equal opportunity matters. "We are revising our instruction that was — no kidding — 49 pages long of excruciating detail on what you wear on the treadmill and how you manage the head," said Force Master Chief Wes Koshoffer at the annual gathering of the Submarine League in Northern Virginia. "The instruction just ought to read: We will treat each other with dignity and respect because we are professionals. We have a fraternization policy and until we cross those lines, proceed." The Navy wants women to make up about 20 percent of the crews of seven of the 18 Ohio-class submarines by 2020, at which point they will start to send enlisted women to Virginia-class attack submarines. U.S. shipbuilding expert Mark Lamarre tapped. The federal government has made two key appointments at shipbuilder ASC ahead of next year's decision on where to build Australia's new fleet of submarines. Chairman Bruce Carter - who oversaw the company's profit of more than $20 million over the past financial year on the back of a $3.8 million loss the previous year - has been reappointed until the end of 2018. US shipbuilding expert Mark Lamarre has been appointed chief executive of ASC Shipbuilding after being in the job on an interim capacity since January. German, French and Japanese shipbuilders have submitted bids for the right to build Australia's next fleet of submarines and the winner is expected to be announced next year. BANGKOK – Asia’s spending on military hardware is quickening at a time of increasing focus over maritime territorial disputes in the South and East China Seas, as well as growing concern over China’s expanding military. Earlier this year London-based Strategic Defense Intelligence (DSI) reported that Asia led the world in rising defense spending, and countries’ spending on submarines was at the top of the list. DSI analysts say the Asian submarine market is currently worth just over $7 billion, but will rise to $11 billion by 2025. That could mean it surpasses Europe as the world’s second largest submarine market, behind the United States. SDI analyst Sravan Kumar Gorantala said China, India, Australia and South Korea are the key buyers of submarines amid fears of potential maritime conflicts and threats in the South China Sea, as well as the Pacific and Indian Oceans. Gorantala said China’s growing assertiveness in disputes over the South China Sea and modernization of China’s submarine fleet has led to demand for submarines by India, Japan, Taiwan, Australia and Vietnam. Japan has moved to secure foreign arms sales, largely for its Soryu-class submarines. Many countries with territorial disputes in the waters of East and South China Seas have also been securing spy planes. In emailed comments to VOA, Gorantala said competition between China, Vietnam, the Philippines and Malaysia in claiming rights over natural resources including oil and gas in the South China Sea is spurring demand. Thailand is purchasing three diesel electric submarines from China to match naval capabilities with Vietnam. In 2009 Vietnam took possession of three Russian-built Kilo-attack submarines with three more on order as part of a $2.6 billion deal. The Philippines and Indonesia have also moved to purchase the Russian-made Kilo class submarines amid China’s increasing assertiveness. The United States remains the largest market for submarines, with an expected cumulative spending of $102 billion over the next decade. China has long claimed almost all of the South China Sea as its own, but in recent years has accelerated an island building program that many worry is militarizing a region crucial for international shipping. Beijing now has seven man-made islands on reefs in the Spratly Islands, including construction of a 3,000 meter airstrip at one site. Since 2008, the Vietnamese navy has taken delivery of one BPS-500 corvette and two Gepard 3.9-class guided missile stealth frigates armed with 3M24 Uran anti-ship missiles. The Kilo-class conventional submarines are armed with anti-ship and land attack cruise missiles, and supported by four guided missile corvettes, five light frigates and six Fast Attack Craft armed with anti-ship missiles. “[Vietnam] is not looking at a conventional war or a theater war with China, they are looking at an eruption of conflict at much lower level, but trying to position themselves to be able to deter China and really inflict some damage,” Thayer said. In recent months U.S. ships and planes have traveled inside the 22-kilometer offshore economic exclusion zone that China claims its man-made islands possess. Washington and other regional countries do not recognize Beijing’s claims, and say China’s efforts are hindering commercial shipping and fishing operations. “At a certain point they may be compelled to take some concrete measures to respond to U.S. ships sailing through. They could be the start of an unintended escalation,” Zhang said. But Koh said then navies need to overcome several challenges including financial, technical, logistics and manpower issues of submarine operations. “Not all of these countries that purchase submarines necessarily master the art of underwater warfare,” he said. Vietnam has turned to India in its training of 500 submariners at an advanced undersea warfare school since taking possession of three Russian built Kilo attack submarines. Australian University of New South Wales’ Thayer said the issue for Vietnam is a lack of combat experience and a lack of effective training where you have opposing forces. “Now at least Vietnam will be able to [do] one thing – it can send the Kilo [submarines] out there and go hunting themselves – and learn how to find and locate submarines,” he said. But Thayer said Vietnam needs to embrace programs involving friendly countries, something it has so far been reluctant to do. Vietnam’s strategy is to build up “the capability to make China think twice about that sort of [threatening] behavior,” he said. HARTFORD, CONN. - Nuclear-armed U.S. submarines that went more than a decade without calling on foreign ports in part because of post-Sept. 11 security concerns are once again visiting other countries, a shift intended to underscore their global presence and lift sailor morale. A stop in September by USS Wyoming in the United Kingdom was the first of what are expected to be occasional visits to foreign ports. Michael Connor, a retired Navy vice admiral who served until September as commander of the American submarine force, said in an interview with The Associated Press that the change reflects a desire to emphasize that the submarines are all over the world and also to give the crews an experience that is open to sailors on virtually all other Navy ships. "The fact that a port visit is a possibility, even if it can't be delivered on every patrol, that is a big deal to the sailors. I know it was a big deal to me," Connor said. Port visits such as the recent stop in Faslane, Scotland, also promote professional development by reinforcing a crew's ability to navigate and resupply a sub anywhere in times of crisis, he said. The Navy has 14 submarines with nuclear warheads that roam the oceans as part of the U.S. strategy to deter an enemy strike. The crews that operate the Ohio-class ballistic-missile submarines, also known as "boomers," typically deploy for 70 to 80 days at sea with limited opportunities to surface for training. The smaller attack submarines, in contrast, deploy for roughly six months with about four port visits, some for maintenance and others for "liberty" or crew morale. Connor said retention rates for sailors on ballistic-missile subs are among the highest for Navy organizations, but lengthy internal Navy deliberations concluded the port visits are an important incentive. "It's a huge motivator," he said. "It's a reason people want to be in the Navy. It's a reason people want to be up to date on their qualifications so they're allowed to go ashore and take this time." While port visits took place occasionally in the 1990s, several factors led to them coming to a halt after 2003. Connor said the thinking after the Sept. 11 attacks was that the subs were too special to assume any risk at all. In addition to security concerns, a spokesman for the submarine force, Navy Cmdr. Tommy Crosby, said there has been limited flexibility in scheduling as the number of ballistic-missile subs is down from the 18 the Navy had in the 1990s. The primary reason for the Scotland visit, Crosby said, was "to strengthen cooperation and interoperability between the U.S. and the U.K. and to demonstrate our capability, flexibility and continued commitment to our allies." A retired Navy officer who served on many submarines, James Patton of North Stonington, Connecticut, said port visits can make a difference especially for sailors on the ballistic-missile subs, known as SSBNs. He remembers attack submarines as far more fun with their multiple missions, while the larger, nuclear-armed subs focused largely on avoiding being detected by others. "The SSBNs got a little boring," he said. NEW DELHI: Indian plans to lease a cutting edge nuclear attack submarine that would assist in technical knowhow for an indigenous project have run aground with Russia seen to be backing out on the deal. Senior officials in Delhi and Moscow have told ET that plans to lease a Yasen class attack submarine - two of which are in service with the Russian Navy - are being reconsidered after fairly advanced talks on the project. By being involved in the process from the beginning, India would have gained expertise for an indigenous project to produce six nuclear powered attack submarines (SSNs) for the Navy under a Rs 100000 crore project that was cleared by the Modi government in February. Talks were at an advanced stage with National Security Advisor Ajit Doval too said to be in the picture. In 2013, Major General Zhang Zhaozhong, an outspoken senior official in the Chinese People’s Liberation Army, described China’s strategy in the South China Sea by referring to a cabbage. In regards to the Scarborough Shoal, a group of rocks disputed by China and the Philippines, the Chinese strategy is to inundate the area with a large fleet of military and commercial ships of all sizes, to surround the contested rocks like the layers of a cabbage. What essentially amounts to a blockade, disguised by friendly vegetarian metaphors, is a manifestation of the more assertive Chinese foreign policy undertaken by President Xi Jinping. In this post, I will discuss how the recent build-?up of regional naval fleets in Asia is a response to China’s increasingly assertive policy – and why this is cause for concern for China. In recent years, there has been a buildup of military submarines in the Asia-?Pacific, which Michael Wesley at the Australian National University refers to as a “bonanza.” Despite multiple changes in leadership over the past few years in Australia, the massive project to replace the Royal Australian Navy’s six aging Collins-?class submarines with 12 new state of the art diesel submarines is still well underway (as a point of comparison, Canada currently has four Victoria-?class submarines, three of which are operational, and all of them several years older than the submarines Australia is replacing). The Australian submarine procurement process brings to the forefront the changes that are happening in another key player in the Asia Pacific region: Japan. For the first time since the 1960s, new legislation in Japan permits the country’s world-renowned industry to export military technology. The top contender for the contract to replace the Australian submarines is the Soryu-class, developed by Japanese giant Mitsubishi. The Soryu-class diesel submarine is notable for its air-?independent propulsion technology, which allows the vessel to remain underwater without surfacing for significant periods of time compared to other diesel submarines. Japan, of course, is not only developing the submarine for export; it is in the midst of increasing its total submarine fleet form 16 to 22. Australia is not the only country in the region increasing its submarine fleet. In September 2015, the Indonesian House of Representatives announced a plan to purchase two Kilo-class submarines from Russia; the nation comprises 17,000 islands, and senior military planners estimate that the country needs at least 12 submarines to adequately patrol its territorial seas. Across the Strait, Lieutenant-?Colonel Aaron Beng of the Singapore Armed Forces analyzes submarine procurement in Asia from his country’s perspective. He notes Singapore’s recent acquisition of two Vastergotland-class submarines from Sweden, bringing the fleet’s total to six; the refurbishment of two French Scorpèné-class submarines by Malaysia; and the ongoing purchase by Vietnam of six Kilo-?class submarines from Russia. One can also include the new Thai ruling military junta decision to purchase submarines from China. Not to be outdone, the first of India’s six new Kalvari-class diesel electric attack submarines, based on the French Scorpèné, are currently undergoing sea-?trials. What is the motivation for this submarine acquisition? The submarine is, in terms of dollar-per-value, the best tool for sea denial. This maritime strategy is an asymmetric one. Instead of great powers building up fleets to fight for control of the seas, as was the case in the lead up to the First World War, sea denial is a strategy used by weaker powers to deny access to their coastal areas by larger powers; the maritime equivalent of guerrilla warfare. Essentially, a small, stealthy, relatively inexpensive submarine can pose a serious threat to an advanced aircraft carrier or major surface combatant. This brings us back to China and the cabbage strategy. In the South China Sea, despite the unresolved nature of competing claims over various small islands, China is continuing with its policy of reclaiming land and building infrastructure. Last week, tensions flared as the USS Lassen, an American destroyer, sailed in what Washington claims are international waters but which China considers within its territorial sea. While the US Navy (USN) remains the most advanced and important navy force in the Pacific Ocean, China’s growing fleet of advanced surface and undersea ships gives it a sea denial capability against America’s more formidable force – especially when combined with its on-?shore anti-?access and area denial (A2/AD) assets. While much has been written about the Sino-American rivalry in the Pacific, the role of smaller Southeast Asian countries is too often forgotten. The USN is still far superior, for the time being, to the Chinese People’s Liberation Army Navy. Yet any assessment of the strategic balance must take into account other important players in the region, such as Australia, Japan, Singapore, India and Vietnam, all of which are showing a tendency to bandwagon with the United States – making any potential Chinese dominance even less foreseeable. At a recent conference at the University of Ottawa, Professor Jean-Pierre Cabestan, one of the foremost French experts on China, noted how Chinese President Xi Jinping’s success in making China more assertive on the world stage has only provoked a “rebalancing” of the United States and its allies towards China. Indeed, if the cabbage strategy continues to cause horizontal proliferation (the number of countries building up military capacity) as well as vertical proliferation (pre-?existing powers increasing their capacity, such as the development of new missile systems on littoral combat ships in the United States), China’s aggressiveness may have caused it to lose more influence than it has gained. WASHINGTON – Navy officials are evaluating the damage to a guided-missile submarine that struck a buoy. The USS Georgia is in dry dock after it hit a buoy in the channel near Fernandina Beach, Florida, in late November, according to Military.com. The submarine was returning to its home port at Naval Submarine Base Kings Bay in Georgia. No leadership has been removed from the sub following the collision, said Lt. Lily Hinz, a public relations officer with Submarine Group 10. CNN has submitted a request for comment from the division. Official are conducting an investigation into the accident, which happened at the entrance to the channel leading to the base. The USS Georgia, previously a ballistic missile sub, was converted to a Ohio-class submarine to carry Tomahawk cruise missiles. It is one of four Ohio-class submarines that conduct clandestine missions in coastal areas across the world. The damage is to the boat's exterior and there was no water intrusion from the collision, Hinz said. The boat made it to Kings Bay without assistance after the accident. In 2007, International Climbing Machines (ICM) unveiled its Climber robot, which can scale walls and rounded surfaces using a patented seal system. Now, it's trying to interest the US Navy in using robots to take over the nasty job of stripping away the rubber anti-sonar cladding from the nuclear submarine fleet using a method that is both cheaper and safer than current procedures. Though modern nuclear submarine fleets need to listen for potential enemies, they also need to remain as silent and undetectable to others as possible. To counter enemy sonar, submarines are covered in thick, rubber-like tiles to dampen the boat's own noise while absorbing incoming sonar pings so they can't reflect back to the sender. The exact nature of these tiles is classified, but what isn't is that removing them is an unpleasant and hazardous job. ICM has been conducting trials for the Navy of a tile-removal system that's based on the company's Climber robot line. These small robots are remote controlled and can climb walls, ceilings, or rounded surfaces using a seal system that allows the 30-lb (13.6-kg) machines to climb while exerting a pull of over 335 lb (152 kg). For submarine cleaning, ICM paired two of the robots carrying a load of 85 lb (39 kg). With the boat secured in dry dock, the robots climb over the hull while a cutter using heat induction technology softens the rubber tiles and strips them away without the need for sandblasting, high-pressure water, or abrasive discs. The company also says that it does not create secondary waste. According to ICM, the robots can climb over obstacles and irregularities and their use not only saves money and time, but also eliminates the need to expose workers to hazardous conditions while allowing the operator to stand at a safe distance with a handheld controller. "ICM has been tracking this potential use for many years so this is a big opportunity for us to show what we can do," says Samuel Maggio, president of ICM. "We delivered the robot back in April and it has worked out very well so far and we await more feedback from the Navy on field trials. All indications have been very positive, the combined remote-controlled technology has done what no one else has done before. This could change everything." The Rahay at ceremony before departure from Germany. 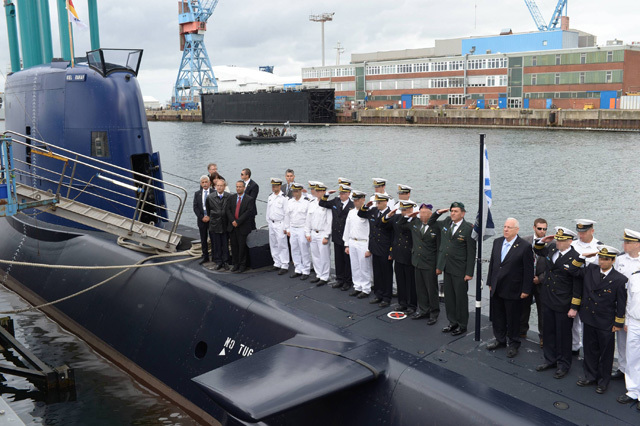 The latest and one of the most expensive weapons in the IDF’s arsenal, the Dolphin-class submarine INS Rahav, set out for Haifa from the German port of Kiel on Thursday, according to a senior naval official. Ordered a decade ago, the Rahav will be Israel’s fifth Dolphin-class submarine, joining the INS Tanin, Tekuma, Leviathan and Dolphin at the Haifa naval base when it arrives next month. Rahav is the Hebrew name for the Greek god of the seas, Neptune, and has been used for other naval ships in the past, but it can also mean haughtiness or arrogance in modern Hebrew. The submarine, built by the German Howaldtswerke-Deutsche Werft shipbuilding company, was unveiled in April 2013, but required an additional year and a half of work to make it fully operational. The diesel-powered sub is over 220 feet (67 meters) long and weighs more than 2,000 tons. It will be staffed by a crew of approximately 50 sailors, the Israel Navy official said. The vessel’s air-independent propulsion system, which operates through a fuel cell instead of using louder, oxygen-dependent sources, allows the submarine to remain underwater without surfacing for potentially weeks at a time, the source said. “The fifth submarine greatly enhances the Israel Navy’s submarine flotilla and provides us with another state-of-the-art tool to aid and defend Israel against numerous threats,” the Navy official said, but refused to specify to what exact dangers he was referring. The INS Rahav cost Israel a reported $2 billion (NIS 8 billion), but the Navy officer was loath to discuss its price. “We’re not speaking about the cost,” he said. The price tag, seen by some as exorbitant, of the Rahav was offset by a considerable discount from Berlin that is rooted in a contentious 1953 reparations agreement between Germany and Israel for the Holocaust. The controversial agreement, which significantly boosted Israel’s economy during the early days of its independence, has brought billions of dollars of military and economic aid to Israel throughout its history and was further invoked to purchase the new line of naval vessels. The Rahav is equipped with state-of-the-art surveillance systems to track other ships and countermeasures to allow it to avoid detection by enemy craft, as well as satellite communications capabilities and other systems for electronic warfare, the Israel Navy officer said. Last year, the INS Tanin — crocodile, in Hebrew — arrived in Israel. The nuclear-capable submarine, similar in most ways to the new Rahav, came equipped with 10 torpedo tubes, capable of holding a variety of missiles, according to Defense News. Submarines, unmatched in their ability to hide from enemy navies, have long been a major facet of Israel’s defense policy. “Submarines are a strategic tool in the IDF’s defense arsenal. Israel is prepared to act at any time in any place to ensure the safety of Israel’s citizens,” Netanyahu said in 2013, when the Rahav was first unveiled in Germany. Israeli submarines are allegedly armed with cruise missiles topped with nuclear warheads, affording the tiny Jewish state “second strike” capabilities — although the government will not officially acknowledge these nuclear weapons. Israel also purchased a sixth submarine from Germany in 2013, which is expected to be completed in a few years. It is not yet clear if it will join the current fleet or replace one of the older vessels. “Let’s talk about that in three or four years,” the military official said. When Australian Prime Minister Malcolm Turnbull visits Tokyo Friday, the top item on the agenda is expected to be reaching an agreement with Prime Minister Shinzo Abe on closer defense cooperation, particularly more joint military exercises between the two nations. But behind Turnbull’s visit to Japan, the first since he replaced Tony Abbott, who was particularly close to Abe, in September, is the question of whether Japan will be chosen to develop Australia’s next-generation submarines, and what impact that decision could have on overall bilateral relations. Just over two years ago, Abbott made headlines when he declared that Japan was Australia’s closest friend in Asia, delighting Tokyo but creating concerns in Beijing and among those in Australia seeking to balance the country’s relationship with China and Japan. Agreements for a closer defense cooperation between Australia and Japan, as well as the Japan-Australia Economic Partnership Agreement, credited by many in Canberra and Tokyo for giving impetus toward the conclusion of the Trans-Pacific Partnership talks in October, also took place under Abbott’s administration. Now, with Turnbull in charge, security experts in Australia say there could be some changes, even though his visit to Tokyo is expected to produce an agreement. “I think that, yes, Abe and Turnbull will conclude an agreement, as this form of bilateral cooperation (on joint military exercises) has been growing steadily,” said Malcolm Cook, a nonresident fellow at the Lowy Institute in Sydney. Turnbull is seen in some quarters as more “pro-China” than Abbott, and this could place some restraints on the kind of further cooperation Tokyo, or its Washington ally, hopes to see from Australia. “Abbott was very clearly pro-Japan and less sensitive about what China thinks. Turnbull has much closer business-sector links (which benefits from business with China) and appears more tolerant of the Chinese government’s aggressive posture on its territorial claims,” said Michael Heazle, associate professor at the Griffith Asia Institute in Brisbane, Queensland. Heazle said that obstacles to closer military cooperation may appear under Turnbull where China is directly involved, such as providing material support for U.S. operations in the South China Sea. Noting that there is already defense cooperation between Australia and China, Cook said Canberra is likely to try to maintain a balance among its Asian allies. “The Australian navy recently had another live-fire exercise with the Chinese, and Chinese military officials are to be embedded in the Australian defense forces. These are likely signs of Australia seeking closer ties, including security ties, with the U.S., Japan, China, India and South Korea at the same time,” Cook said. As for cooperation on submarines, Japan is hoping that Australia will choose its bid to build possibly somewhere between eight and 12 submarines over those from consortia in Germany and France. Japan’s plan includes providing a modified version of its Soryu-class sub, which is manufactured by Mitsubishi Heavy Industries and Kawasaki Heavy Industries. However, Australia’s domestic politics, especially how many Australian jobs will be provided, is likely to decide which of the three bids is chosen next year. “As the submarine issue helped bring Abbott down, Turnbull has to tread carefully. The Abbott government was very unpopular in South Australia, home of the Australian Submarine Corporation, after the then defense minister (under Abbott) said local workers ‘couldn’t be trusted to make a canoe’ and that he preferred Japan as a manufacturer,” said Tim Harcourt, J.W. Nevile Fellow in economics at the UNSW (University of New South Wales) Australia Business School in Sydney. Cook added that the political pressure is on Turnbull to choose the submarine deal that offers the greatest share of the work to be done in Adelaide, the South Australian capital. “Up to six seats in South Australia held by (Turnbull’s) Liberal Party could be vulnerable to this decision,” he said. Therefore, because of the political sensitivity, and the fact that the bids are still under review, little more than a perfunctory statement is likely to come out of this week’s meeting. “Turnbull’s response on the sub deal, publicly anyway, will be that the tenders have been submitted, the selection process is underway, the process should run its course, and that Australia will purchase the subs that best fit Australia’s needs,” said Heazle. The Navy has sued Kitsap County to try to prevent it from releasing Naval Base Kitsap-Bangor emergency plans. In January, Glen Milner asked Kitsap County Emergency Management for records regarding potential consequences of a radiological accident at the submarine base and planned responses to it. The Kitsap Sun, researching a project about a major earthquake, piggybacked on the request in October. In denying the request, the Navy has said it will inform residents how to respond if a catastrophic incident unfolds. when the U.S. attorney's office in Seattle, representing the Navy, threatened deputy prosecuting attorneys Alex Foster and Shelley Kneip with criminal and civil prosecution. The county informed the Navy that it would release the records if the Navy didn't get a court order by Wednesday. The Navy filed the complaint Monday in U.S. District Court in Tacoma. The court Tuesday issued a temporary restraining order prohibiting the county from releasing the records and scheduled a preliminary injunction hearing Dec. 24. Foster said the county is determining its next move. "We're still in the process of reviewing and considering what our options are and what we will do next," she said. The 18-page complaint lays out the Navy's arguments why the state's mandatory disclosure provisions don't apply to the documents in dispute. The Navy claims the information — which Kitsap Emergency Management obtained participating in exercises at Bangor — was only to be used for the exercises and couldn't be disclosed without the Navy's consent. The information is covered by federal laws prohibiting disclosure of unclassified nuclear information and critical infrastructure security information. And the state's public records act exempts security information from mandatory public disclosure, the Navy says. Information the Navy seeks to protect regards plans for responding to nuclear weapons accidents and incidents, the names of federal employees with special knowledge and expertise, convoy routes for nuclear-capable missiles and warheads, and incident response force information, according to the lawsuit. Bangor is home to eight Ohio-class submarines that are capable of launching Trident ballistic missiles. None of that information would need to be included in a radiological accident plan that instructs the public where to listen for information, how and when to shelter in place, and how, when and where to evacuate. "It is clear that the Navy intends to have complete control of information," said Milner, a Seattle peace activist associated with Poulsbo's Ground Zero Center for Nonviolent Action. "The Navy wishes to determine what the public should know." The county contends that releasing only information approved by the Navy would be considered an incomplete document under state law and expose it to penalties. "I am hoping that the Navy and the county will share their emergency response plans with the public," Milner said. "Obviously, the Navy does not want this to happen." Rostov-on-Don arriving at home base after bombarding 300 ISIS targets with missile barrage. This video shows Russia’s naval troops arriving back in Novorossiysk, Russia after successfully hitting so-called Islamic state positions in Syrian province of Raqqa. People are seen cheering the naval troops as they make their way into the country. Made in Rostov-on-Don, the submarine was on a mission in the international waters to repel the threat posed by Islamic State militants and rebels in Iraq and Syria. Defence Minister Sergei Shoigu said last week that Russia’s strikes reportedly hit “300 targets of different kinds” and helped Syrian special forces recover the black box of the Russian warplane downed by Turkey last month. “We used Calibre cruise missiles from the (Kilo-class) Rostov-on-Don submarine from the Mediterranean Sea,” Shoigu told President Vladimir Putin during an encounter broadcast on state television. This video shows Russia firing missiles from submarine at IS in Syria. The Navy is yet to make a decision on what type of submarines it will purchase to complete its weapons system procurement in the next five-year strategic plan. Navy Chief of Staff, Admiral Ade Supandi said it would be some time before a decision could be made. “The Navy and the military headquarters are still conducting a strategic review of the matter. The procurement takes time because it must go through several phases,” Ade said in Jakarta on Tuesday. According to Ade, the first phase would be drawing up the submarines’ specifications, the second phase would be planning the budget and the last phase would be building the vessels. The Navy is currently reviewing three types of submarine from three countries; the Russian Kilo class, the South Korean Chang Bogo and a German design. “We are still conducting reviews, but we expect to buy a diesel-electric type, [from one of those vendors]” he said. Previously, Navy spokesperson Comr. Muhammad Zainuddin told The Jakarta Post that the force had opted to procure Kilo-class submarines from Russia as part of the 2015-2019 strategic plan. “There are many types of Kilo-class submarines, we have yet to decide which type we will purchase,” Zainuddin said. The Russian Kilo-class 636 submarines are mainly intended for anti-ship and anti-submarine operations in shallow waters. The type is also resilient in a variety of weather conditions. Countries that operate the Kilo class include Algeria, China, India, Romania and Vietnam. Indonesia has a long history of procuring submarines from Russia and the former Soviet Union. In 1967, it acquired 12 Whiskey-class submarines. Indonesia also procured three Chang Bogo-class submarines from South Korea in 2011. Two of the boats would be built in South Korea, while the last would be built in Indonesia. Defense Minister Ryamizard Ryacudu said the first two boats were now more than 50 percent completed. Submarines, with their stealth capacity, are regarded as effective deterrents and Zainuddin said that Indonesia needed at least 12 such vessels to protect its territory. The Navy currently operates two German-made submarines, the KRI Cakra (401) and KRI Nenggala (402), which were built in the 1980s. The boats are due to be decommissioned in 2020.According to Ade, the Navy will make its decision regarding which submarines to purchase based on the current state budget situation. The Navy is currently busy preparing a joint exercise, code-named “Komodo” with foreign navies from 32 countries to be staged in April 2016. Ade said the exercise would take place off Padang, West Sumatra, and would focus on disaster mitigation. “We’ve selected Padang, because the area is a disaster-prone area. We also want to introduce them to the area and our rich country,” Ade said. He expected that the joint exercise would serve as a conduit for a transfer of knowledge and boost relations between neighboring countries. of America’s nuclear posture in April of 2010, it called for “a multilateral effort to limit, reduce, and eventually eliminate all nuclear weapons worldwide.” A nuclear arms pact signed with Russia the same year called for cutting the number of warheads in the strategic arsenal to a quarter of the level agreed to in 1991 — about 1,500. The New York Times reported early the following year the administration wanted to cut the warhead count yet again to 1,000. Chinese government would likely then use it as an excuse for initiating a series of attacks or incidents against U.S. naval forces,” he said. The UK Royal Navy has received the third of the new Astute-class attack submarines, Artful, which will form a vital part of the country's security for decades to come. The submarine was previously owned by the UK Ministry of Defence's body responsible for procuring and supporting equipment for the armed forces, Defence Equipment and Support (DE&S). UK Defence Minister Philip Dunne said: "The handover of Artful to the Royal Navy is another major step in the Astute Class submarine programme, which continues to gather pace. These attack submarines will provide the Royal Navy with the most technologically advanced submarine Britain has ever sent to sea, and will be a vital part of UK security for decades to come. "They are being funded by our growing defence budget and our £178bn investment in equipment, which is delivering the very best possible kit to our Armed Forces." Artful will be commissioned in March 2016 and will be added to the fleet alongside other navy units in HM Naval Base Clyde. DE&S Submarines Acquisition director rear admiral Mike Wareham said: "The handover of Artful to the Royal Navy is a proud moment for DE&S, reflecting a key milestone and a significant achievement in the Astute programme. "It follows a number of sea trials which have successfully demonstrated the submarine's capability and means she can now begin to prepare for operations with the Royal Navy." BAE Systems Marine Services (BAES(MS)) was contracted to build seven Astute-class submarines for the Royal Navy, which will progressively replace the Trafalgar-class submarines. On Friday, the Navy's brand new $362 million ship broke down and had to be towed back to port after only three weeks in service. The USS Milwaukee, which was commissioned on November 21, is an advanced littoral combat ship (LCS). According to the Navy Times, citing a report from the Navy, the Milwaukee was transiting past Halifax, Canada when it "suffered an engineering casualty." The exact cause of the casualty is still under investigation. However, preliminary evidence points to " fine metal debris collected in the lube oil filter," the Navy Times reports. This debris is thought to have traveled throughout the engine system and ultimately caused it to fail. The cause of the metal debris at this time is unknown. But the debris is thought to have been responsible for the ship's ultimate and complete lack of propulsion. In response to the engineering casualty, Sen. John McCain (R-Arizona), the head of the Senate Armed Services Committee, released a statement decrying the Milwaukee's astounding problems. "Reporting of a complete loss of propulsion on USS Milwaukee (LCS 5) is deeply alarming, particularly given this ship was commissioned just 20 days ago," McCain said, according to the Journal Sentinel. "U.S. Navy ships are built with redundant systems to enable continued operation in the event of an engineering casualty, which makes this incident very concerning." The LCS was intended to be the Navy's futuristic super-ship. It was envisioned as the first US combat vessel with the ability to remove underwater mines and take on swarm attacks of small craft in coastal waters and fight rival battleships in the open seas — all while being difficult to detect on radar, compared to traditional destroyers. The LCS attempts to achieve such a diverse mission set by allowing the ship to be modular. That is, the vessel has a set of interchangeable modules, or parts, that can be swapped in and out to tailor a particular LCS to a particular mission. Originally, changing modules was meant to take place in the space of 72 hours. However, the concept has hard difficulties being put into practice, the Journal Sentinel reports, citing the Heritage Foundation think tank.